Call it a young adult story game, call it a “modern” adventure, call it whatever you like. There is no doubt that Life Is Strange found many fans, so it’s not really a surprise that two new projects based on the popular franchise went into simultaneous production soon after its release. 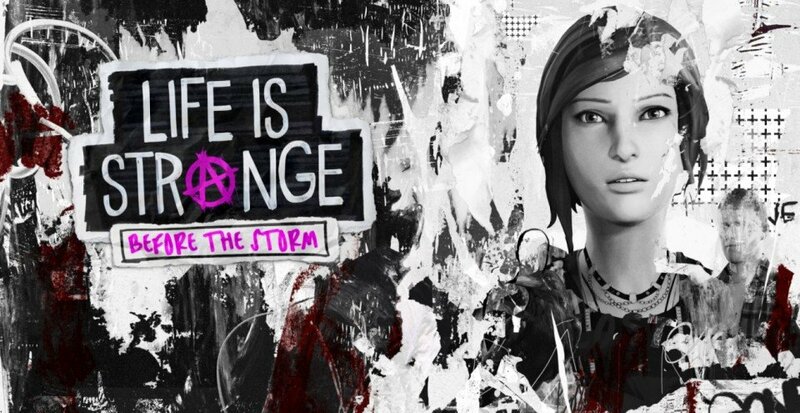 While the original developers from Dontnod are currently working on Life is Strange 2, the three-part prequel Life Is Strange: Before the Storm is being developed by American studio Deck Nine Games. Since Life Is Strange 2 was not shown at gamescom, the stage at Square Enix was all set for Before the Storm. Along with conducting a short video interview with producer David Hein, I also had the chance to join a 30-minute presentation of the prequel. As a fan of the original season, I’m glad to say that nothing I saw during that demonstration made me feel like Before the Storm is only a cash-in. Life Is Strange: Before the Storm takes place about three years before the events of the first season. 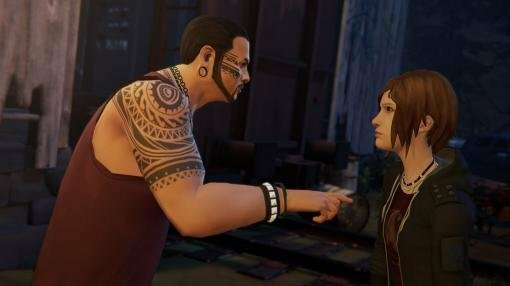 Max has not returned to Arcadia Bay yet, so instead the new game puts a strong focus on Chloe Price. By the time we meet Chloe here, she’s filled with grief because of her father’s death and can hardly get used to the idea of her mother having a new boyfriend. At this point, Chloe still is a student at the elitist Blackwell Academy, and has already earned herself a reputation for her rebellious behavior. Searching for her place in life, a new friendship might give Chloe some security, and that friend is none other than Rachel Amber – a character whose ultimate fate was revealed in the original season. According to David Hein, we’re not going to find out what specifically led to that fate as Before the Storm takes place prior to these events. Instead, Deck Nine want to deal with other situations that feel “entirely new and fresh” to players of the first season, for instance a tragedy in Rachel’s family. 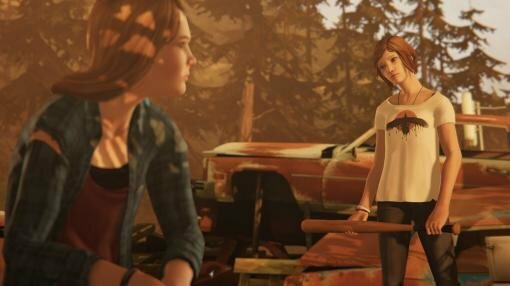 As David told us, players are able to have a direct impact on the relationship between Rachel and Chloe, even touching upon the question of whether the two girls become a couple or not. Deck Nine’s producer told us that he was “heart-broken” about having to replace the original voice actress for Chloe due to a voice actor union strike. Certainly, Ashly Burch played an important role in the popularity of the character, so it was never going to be easy find a suitable replacement. Nevertheless, the gamescom presentation illustrated that the casting choice of Rhianna DeVries was a good one. In her characteristic way, Chloe Price still sounds like Chloe Price. One important reason for that also lies in the strong writing. Just as before, Chloe feels and sounds like a true-to-life character whose concerns have been taken seriously by the writers. At times, this can be seen in daily situations that might initially seem mundane. One example is a kitchen scene where Chloe and her mother discuss the young woman’s absences from school. Visually, Before the Storm doesn’t feel like a departure from the previous game. Also in terms of its soundtrack, the current installment stays true to its predecessor by using the mandatory kind of indie-rock music you’d expect from Life Is Strange. What has changed – and this surely doesn’t come as a surprise for anyone who played the first game – is that the element of time travel is not present in the prequel, nor do any of the characters have any other kind of supernatural powers. That doesn’t diminish the importance of the butterfly effect, however, as it relates to the natural timeline. During the demonstration, I was shown several examples of how our choices can have an impact on other situations in the game (though Hain claimed that for spoiler reasons he didn’t choose scenes that revealed anything important about the overall story). 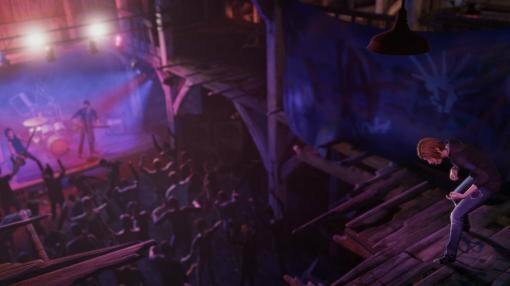 First, a segment was shown where Chloe Price was attending a concert of her favorite band. Amongst other options, you could decide whether she would steal a band shirt or not. If Chloe wears the stolen shirt the next morning, her mother mentions it as she didn’t give her daughter permission to visit the gig. Stealing the item itself requires a simple kind of distraction maneuver. Once Chloe gets rid of the seller at the merchandise shop, she discovers $200 in the booth. What happens to that money is once again up to the player. If you decide to take it, you might want to pay back the money Chloe owes her dealer Frank, who is also at the show. Since a bit of money is going to be left over in that case, you might also have Chloe buy some pot. As it was explained to me, the way we interact with Frank is going to have an impact on a later situation in the game when Frank decides whether he wants to help us or not. Possibly, though, while having a look around campus before running into the principal, we might end up talking to a stoned student who helps us out with some anti-odor-spray. In this case, the principal won’t smell weed on Chloe, and we can spare ourselves any potential trouble. It’s hard to tell whether the branching examples I saw are representative of the rest of the game, but the interweaving of choices and their outcomes that I was able to witness certainly impressed me. Another element that left a very positive impression on me is the new “back-talk” feature which was demonstrated in several examples. In one scene, a bouncer prevents Chloe from entering the club where the rock concert is taking place. After starting a multiple-choice dialogue with the bouncer, the game allows activating the back-talk option, which is a particular type of dialogue puzzle mechanic. During back-talk scenes, a display shows which character is currently closer to “winning” a verbal confrontation. If players repeatedly choose the “correct” dialogue option, Chloe is able to convince the doorman to let her enter the concert. If Chloe is not successful, there’s no second chance to persuade him. Instead, you will have to figure out a different way of getting into the club. Before activating back-talk in conversation, it apparently is going to make sense to explore the current location first. In the case of the bouncer, having a closer look at the surroundings certainly turns out to be a good idea as Chloe is able to find out a little more about him. This results in several additional reply options when the back-talk segment begins. Since there is no going back once the feature is activated, answers should be chosen wisely, and players should pay attention to the last thing the other character has said. When the bouncer, for instance, asks Chloe if it isn’t bed-time for her by now, a direct answer should be picked that relates to the word “bed-time”. Ideally, after a bit of back-and-forth, Chloe has won the bouncer over, and he ends up sending her into the club with a big smile on his face. Of course, I can’t judge the quality of Before the Storm’s overall plot from just a demo. What I can say is that what I did see turned out to be my personal highlight from this year’s gamescom. The new back-talk feature whet my appetite, and the outcome of players’ choices seems to be way more impactful than they have been in any Telltale game so far. Most importantly, Before the Storm not only carries the name Life Is Strange, so far it FEELS like Life Is Strange to me. Gamers who didn’t enjoy the first season probably aren’t going to appreciate the prequel either, but fans of the original game have many good reasons to check out Before the Storm, whose first episode, Awake, is now available for PC, PS4 and Xbox One. If that isn’t enough to convince you, sit back and enjoy my video interview with David Hein, filmed by our German colleagues at Adventure Corner, to learn more about the upcoming game and what to expect.